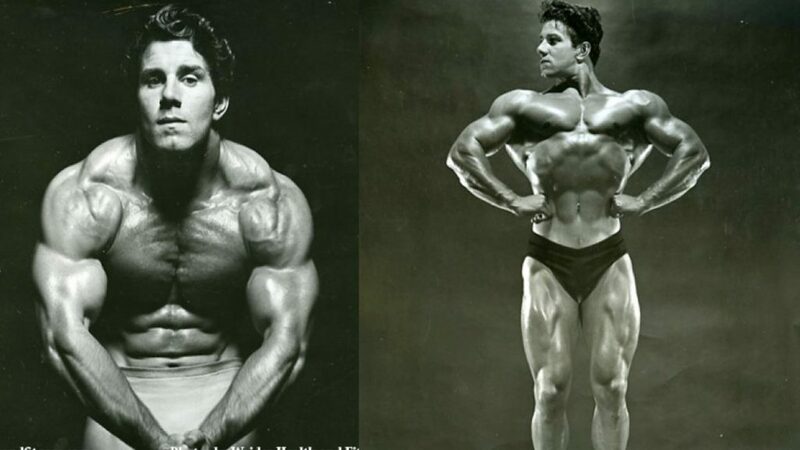 Reg Park was born June 7, 1928 in Leeds, Yorkshire England. Reg was an only child with loving parents and strong family bonds. Reg was an athletic young boy and excelled in soccer and track, running the 100-yard dash in 10.3 seconds in high school. He began training with weights at age 16 after being inspired by the physique of Dave Cohen. When did you begin training? I began my training in 1944 at the age of 16.
Who inspired you to begin? Initially I was inspired to train by a local 24-year-old man by the name of Dave Cohen, who had a physique way ahead of his time, he frequented the same open air swimming pool in my home town of Leeds as did so many of the younger generation. At that time at a height of 5 ft 9″ he weighed 190 pounds and possessed calves, neck and upper bicep of 17 and half inches. He never entered a competition and probably had the best physique in the country at that time. The second person to inspire me was Vic Nicoletti who was Mr New York City 1945. Whom years later I had the pleasure of having dinner with him in a San Francisco restaurant. 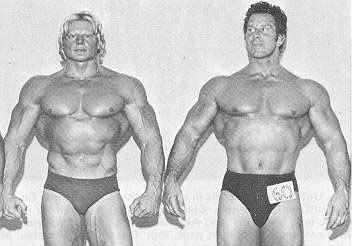 However, I think the two men who really motivated me more than anyone else would be Steve Reeves and John Grimek. How did your training and diet evolve between when you began to when you won your first Mr. Universe title? After winning my first contest, that of Mr Britain in 1949 I realized that if I was ever going to achieve my ambition of winning the Mr Universe contest I would have to have a great deal more knowledge on nutrition and equally so on training. Did your training and diet change after your first Mr. Universe title? If so, how and why did it change? The only way it changed was in volume in order to increase my body weight. However I never over over ate in order to ensure that my diaphragm never protruded when relaxed as is the case with many growth hormone and steroid takers today. 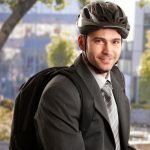 As far as the actual training was concerned from that moment on wards it took on a more strength training principle IE: handling a constantly heavier weight in order to activate dormant fibers. Ensuring at the same time that my increased nutrition supplied the necessary fuel for the newly activated dormant fibers. Park Wins Mr. Britain and more! Subjecting himself to brutal bodybuilding workouts in a cold, leaky and moldy rented garage with limited equipment, Reg built the greatest physique Britain had ever seen. Achieving Herculean and aesthetic proportions simultaneously, Reg won the 1949 Mr. Britain and followed that with a second place to Steve Reeves in the 1950 Mr. Universe. The following year Reg won the Mr. Universe contest, becoming the first Englishman to do so. He would repeat his wins in the Mr. Universe contest in 1958 and 1965. Reg took second in 1970 to Arnold Schwarzenegger and defeated the great Dave Draper and placed third behind Bill Pearl and Sergio Oliva in 1971 at age 43! Reg Park represented the epitome of manhood. Not only did Reg possess a Herculean physique at over 6 feet tall and 220 lbs, he was incredibly strong. Though not a competitive lifter, Reg demonstrated his strength at the beach, gym and at the intermission of many bodybuilding shows. Most notably to this author is Reg’s bench pressing two 150lb Olympic bars simultaneously. Reg could also bench press 500 lbs at these shows (the second man to do so) and then give a posing demonstration. Reg had a superior intellect and character to compliment his superior physique. Reg was a successful businessman and fluent in English, Italian and French. He was a devoted husband and father. He was married (10/22/52) for 55 years to the former Mareon Isaacs, a ballerina from South Africa. Together they raised two children of whom they were extremely proud. Their daughter, Jeunesse (b.1954), is the founder and owner of Food and Trees For Africa (FTFA), an organization dedicated to the environment and those less fortunate. Jeunesse is the mother of three. Reg and Marion’s son, Jon Jon (b.1957), was an Olympic swimmer in his youth and now runs Legacy Gym in California. Jon Jon is the father of two. Always a shy and unassuming man, Reg said in an interview later in life that he couldn’t even remember the names of his movies. Reg used the money he made from his films to open 5 successful gyms in South Africa. He loved training and showing others the benefits that could be attained through correct training. 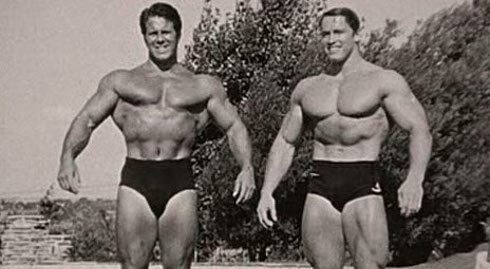 A teenage Arnold Schwarzenegger saw a picture of Reg Park in Muscle Builder magazine and from then on “My life was utterly dominated by Reg Park. His image was my ideal.” Schwarzenegger would meet his idol in 1967 and defeat a 42 year-old Park in 1970. 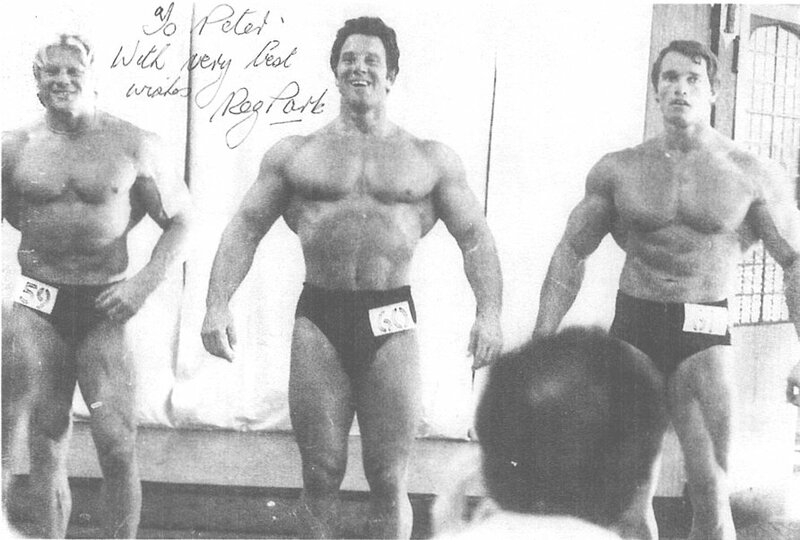 If only bodybuilding could return to the ideals and physique of Reg Park. 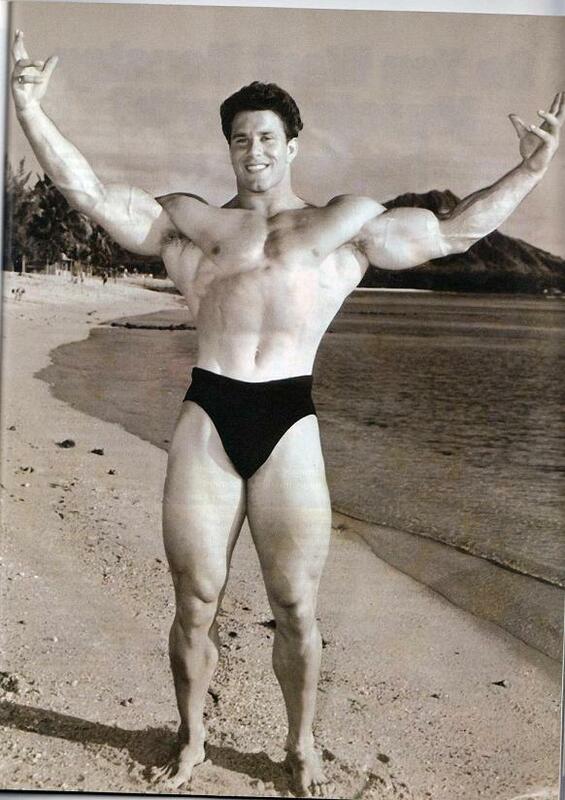 And that is just what Reg Park developed…Heroic proportions in every aspect of his life.